The SDJ Jabril Malik marching snare drum stick is 17" long. It has a diameter of .7" and features a longer taper for easier control of rebound. 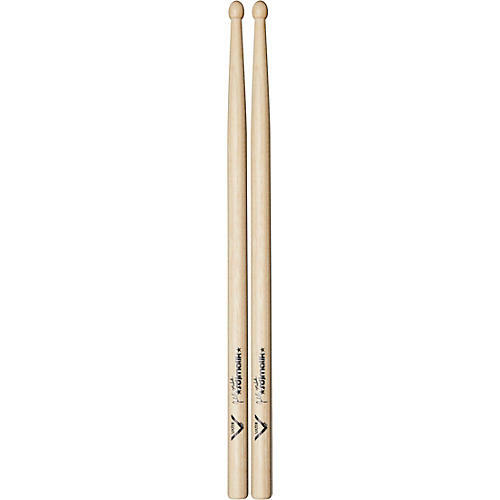 The SDJ Malik model drum stick has a rounded acorn tip for a full-bodied sound. The combination of specs in this design make it a great marching snare stick choice for fast and intricate stickings with a great balance for stick tricks while performing. The idea behind the SDJ Malik stick was to make it easier to play with more velocity and still maintain stamina over a long period. With reduced back weight, the stick is better balanced and produces excellent sound and rebound.